How can I be back if I didn't go anywhere? 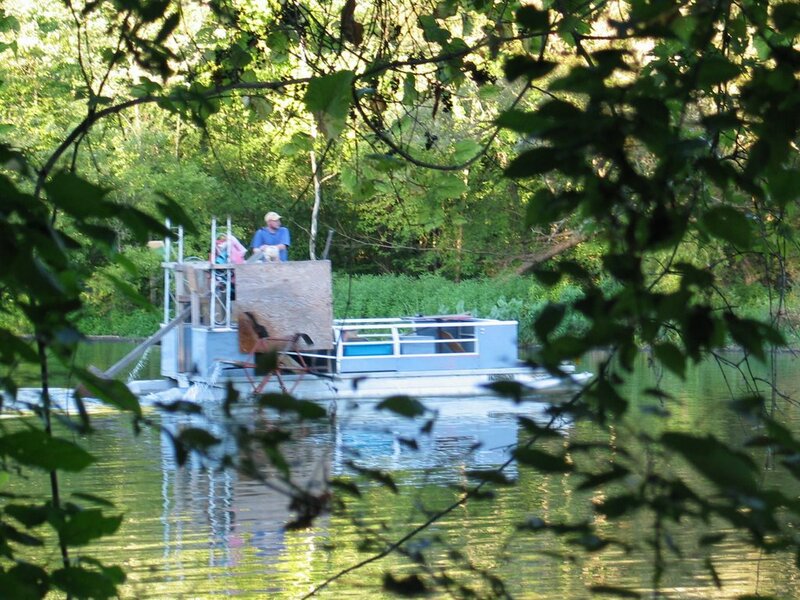 So on Independence Day, I will show you one thing that has occupied our family, mostly my husband and sons. 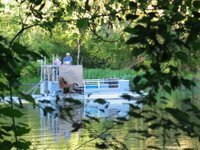 It has been the Summer of Aesthetics for the Loony Toons, our sidewheeler pontoon boat, even though my husband has been dreaming and researching how to convert it to a steam-driven boat. Do you know how much a boiler and steam engine cost? Think 5 figures and you will know why it hasn't been the Summer of Mechanicals. 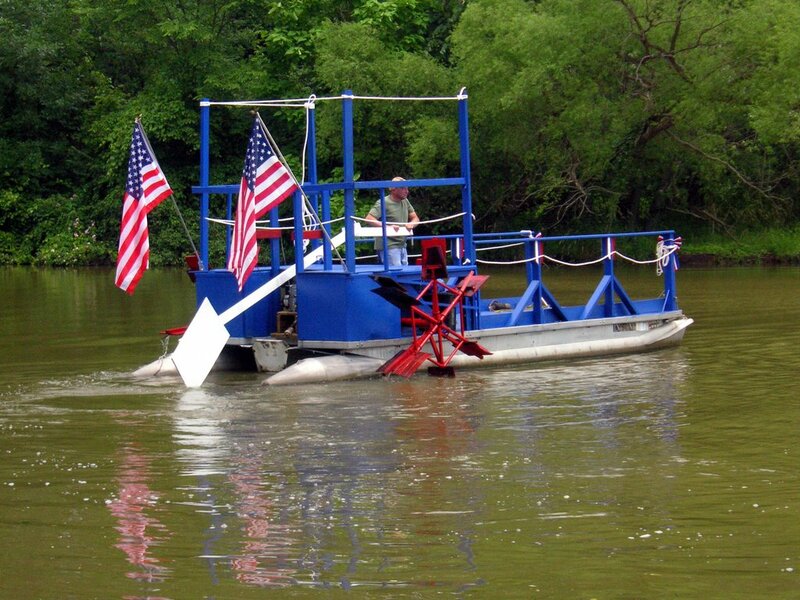 We will be taking the boat downriver for the fireworks in Leo tonight. This is the first year in decades that we are on Daylight Savings Time (the effects which are worthy of another post), so it will be a late night. Today I will be getting provisions ready for the trip: food, drinks, blankets for the cool ride home. This has become an annual pilgrimage. I am also posting the "before" picture so you can be amazed at the transformative powers of paint and new handrails.